The Department of Electrical and Electronics Engineering was established right from the inception of the institute in the year 1962. The various programs offered by the Department are B.E., M.Sc., (Engg.) by research and research leading Ph.D affiliated to Visvesvaraya Technological University (VTU), Belgavi. Also, Department is affiliated for Ph.D program with University of Mysore, Mysore and Kuvempu University, Shimoga. About 100 research papers have been published by the Department faculty members in various International & National journals and conferences. The Department emphasizes towards imparting quality education, rigorous teaching-learning, hands-on expertise and helping students to shape their all-round personality. The Department with its strong pool of faculty, well-developed laboratories, latest software and hardware facilities, contributes to develop life-long learning skills to its students and producing worthy researchers by offering doctoral research program. Welcome to the department of Electrical & Electronics Engineering at P.E.S. College of Engineering, Mandya. With a current annual intake of 40 students from all parts of India, the staff to student ratio now stands at a plausible 1:11. 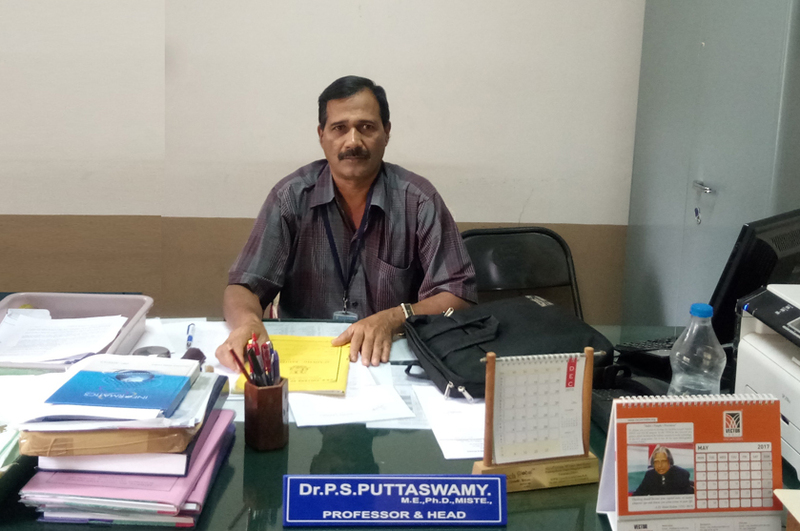 At present, there are four faculty with Ph.D Degree specialized in various fields of Electrical & Electronics Engineering obtained from IITs and IISc while six more faculty are at different stage in the process of pursuing the Ph.D. programme. The department has well equipped laboratories such as High Voltage Laboratory, Power Electronics & Drives Laboratory, PLC & SCADA, Electrical Machines laboratory, Microcontrollers Laboratory, Control Systems laboratory, Measurements & Circuit Simulation laboratory & Computer laboratory. Since its inception the department strives for excellence in teaching, research and professional services to the industry so as to achieve eminence in selected niche areas of Electrical and Electronics Engineering. The department has undertaken a number of research projects/schemes with the financial assistance from MHRD New Delhi, AICTE New Delhi & KCTU Govt. of Karnataka. The department is also actively engaged in research & consultancy. The department has been in the forefront of advanced research in the emerging areas of Electrical and Electronics Engineering and has also been very pro-active in interaction with R&D Institutions viz IISc & CPRI, Bangalore; and Industries viz ABB Bangalore and VI- Microsystems Chennai. Department has been a catalyst in the growth and development of knowledge society. Further, state-of-the-art laboratory and infrastructure facilities effectively aid teaching and learning process to constantly upgrade available hardware and software to create conducive research / testing environment leading to a great opportunity to learn and progress in different technical domains. Faculty members are associated with nearby academia and industries by means of offering consultancy services, testing facilities, delivering expert talks etc. Students from the department are recruited by multinational Core-companies as well as IT- companies. A large number of students have been obtaining admissions in reputed institutions for higher Education in India & abroad. The presence of our alumni at various organizations and reputed universities across the globe has helped our graduates to plan their future endeavors.